How long does it take to go under offer in the UK's biggest cities? 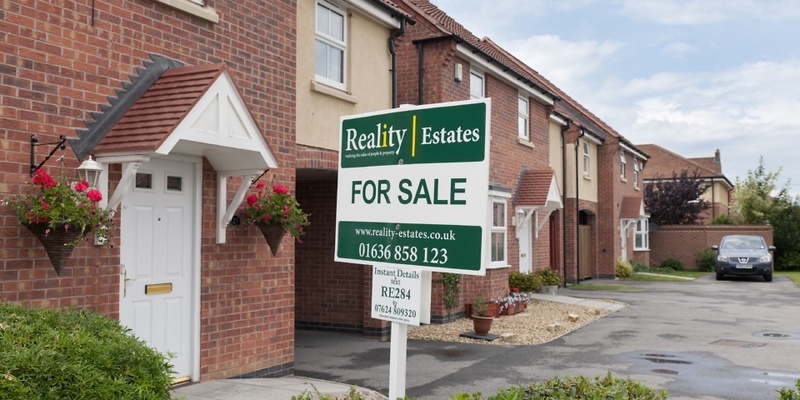 A recent report by TwentyCi has revealed the varying time it can take for homes to sell around the UK – and there’s a huge difference of 133 days between the fastest and slowest-selling areas. The Home Mover report, comparing various elements of the property market in England, Scotland and Wales during the second quarter of 2018, found that those trying to sell a home in east London had to wait an average of 220 days before going under offer. This compares with an average of just 87 days for properties being sold in Edinburgh, the fastest-moving city. The time to sell is measured as the number of days between the property being listed by an estate agent to becoming ‘sold subject to contract’, which means the seller accepting an offer from a buyer ‘subject to contract’. Which? has looked into the reasons behind this, and what you can do to help your property sell faster. If you’re considering moving house, call Which? Mortgage Advisers on 0800 197 8461 – the impartial mortgage brokers can help find the best mortgage for you. Where are the UK’s fastest-selling properties? The graph below highlights the time it takes properties costing under £1m to go under offer in some of the UK’s biggest cities. The fact that properties in Edinburgh and Glasgow are the quickest to sell is surprising considering that the report also found that asking prices and the number of exchanged properties in Scotland are both down, suggesting that supply is exceeding demand. There’s a stark difference in the time it takes properties to sell in London, where on average it will take a month longer to sell your home than the rest of the UK. Properties in east London, covering areas such as Stratford, Canary Wharf and Leyton, take the longest time to sell in the whole of the UK – on average nearly eight months. TwentyCi stated this may be due to the general trend of London house-buying shifting north –north-west London saw a 12% increase in asking prices – but also the fact that the London housing market has become more subdued. Demand is still strong, but high prices may mean buyers are more likely to be patient and bide their time for the ‘right’ property, or turn to renting instead. What can you do to sell your home faster? Even if you live in an area that generally has a slower selling market, there are things you can do to make sure your property is snapped up. Make sure you have top-notch photos: most house hunters begin their search on portals like Rightmove and Zoopla, and the images on your property’s online listing are crucial in getting viewers through the door. Make sure they show all rooms and features, and ensure rooms are brightly lit and free of clutter. Check that popular search terms are included – words such as ‘garden’, ‘garage’, ‘parking’, ‘freehold’ and ‘detached’ are all popular on Zoopla, so if they apply to your property, make the most of them. We’ve written about the top 10 search terms buyers are looking for in different areas of the UK, if you want to find out the full set. Investigate the competition – if your type of property is unusual in your area you may be able to sell for a premium; if there are lots of similar properties nearby you may have to lower your expectations for a higher asking price. Spruce up your property as much as possible – just repainting a peeling front door and cutting the lawn could give a much better impression to potential buyers. Choose a good estate agent – in a buyers’ market, you’ll need an estate agent that will work their socks off to sell your property. Our guide on how to find the best estate agent will help. If you’re considering selling up and buying a property somewhere new, it’s always a good idea to seek professional advice about your mortgage options. Which? Mortgage Advisers can give you impartial, expert advice, and help you find the right mortgage deal to suit your circumstances. Fill out the form below for a free call-back.